How to manage weight that was gained selectively around the belly? As per Ayurveda, the increase in belly fat can be because of an imbalance in kapha dosha and this can be reduced or the reduction can be achieved on following a very strict dietic regime and an exercise pattern. Talking about the diet, the reception in kapha dosha can be achieved when we abstain from sweets or the sweetened drinks like the aerated drinks, oil rich foods or the carbohydrates. In some conditions, the rice is also a rich source of carbohydrates and this also has to be abstained from. What we advise here so you can start your day with two glasses of warm water. When we talk about warm water, it has to be warm and not boiled and cooled. So just warm water and take atleast 2 glasses of warm water. Early in the morning on empty stomach, following by which you can follow a strict exercise pattern. Exercises all the stretches can be done like jogging and swimming and concentrating on the abdominal muscles. So the abdominal crunches can be advised or in some conditions yoga is also advised. There are various aasanas in yoga can be advised like a complete stretch and tadasanas can be done and even pavanamuktasnsas can be done, paschimotasanas can be done. 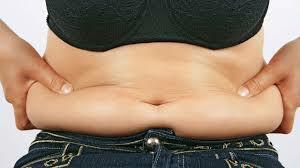 These are various asana which will help you in reduction of belly fat, followed by a breakfast which is again less in sugar and salt has to be advised as it brings about water retention and also adds to the increase infact like the weak points like the belly and the buttock has to be advised. Next thing is between your lunch and your breakfast you can also follow salads or fruits. Thereby you can reduce the quantity of lunch that you take. Most of the housewives follow it up with sleep. That has to be avoided because sleep brings down the metabolic rate, thereby increases the kapha and adds to the medas. The dinner has to be definitely lighter and followed by which we advise tripahala kashayams and we can mix tripahala choornam with warm water and take it. This actually helps in detoxifying the system. There are various procedures that we adopt other than this as treatment modality as patients come to us ask for belly fat reduction, we advise various lepas on the stomach. Various lepas include the tripahaladi choornam with kolakulathiadi choornam. Apply the oil and follow it up with sedation therapy or the swedana karma. Regular virechana is also advised, then there are various preparation like varunadi kashayam, varunadi kashayam tablets, various other single drugs like the garcinia. All these medicines are given to reduce the belly fats, then like the detoxifying like the regular virechana karma is also advised for people. But all these modalities take time to respond. So what we need to have is a healthy diet and follow a regular exercise pattern till your goal is achieved.